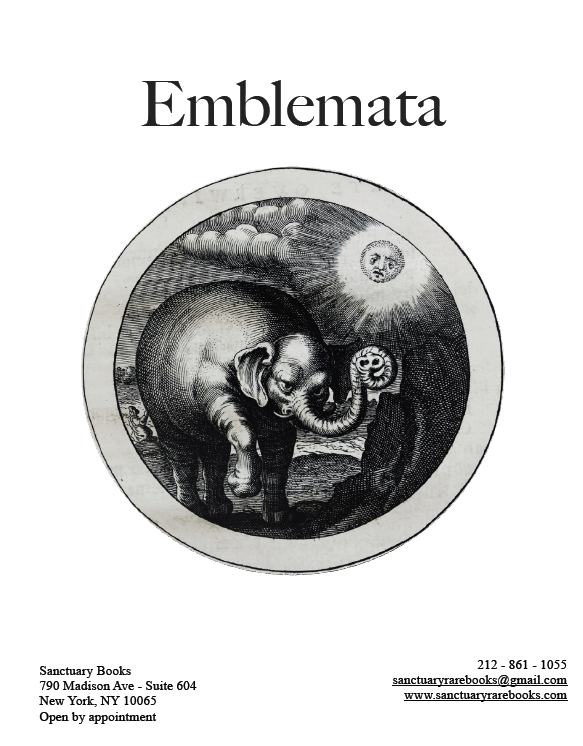 We are pleased to present a selection of 20 emblem books from stock. Long collected and enjoyed for their visual charm, the illustrations in these volumes display an amazing variety of allegorical representation. The books are arranged in no particular order – much like the experience of leafing through a good emblem book, you never know what you’re going to see next. Printing dates range from 1551 to 1816, with French, English, German, Italian, and Dutch examples.